Short, individual eyelashes are the only way to wear falsies, that look beautiful rather than comical. 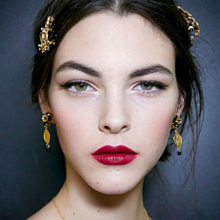 A complete strip of lashes (or even half lashes) looks too heavy, plus you have to disguise them with loads of make-up. 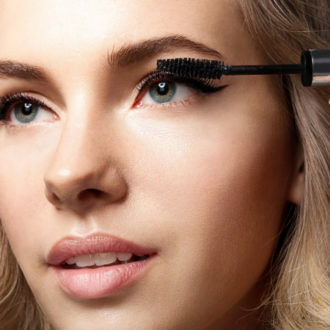 Step 1: Prepare your lashes – curl your lashes and apply mascara, but that’s all. Apply make-up after you’ve applied the lashes, says make-up artist Claire Ray. You need to lift the eyelid with your finger to place the lashes on just where you want them, and that’ll take off any carefully applied eyeshadow in seconds. 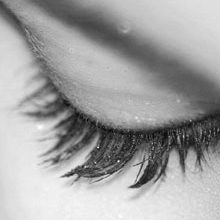 Step 2: Squeeze your eyelash glue – into a small puddle on the pack of lashes so you can lightly dip the end of each lash into it. Don’t put on the back of your hand, as it will stick to your skin. Clear blue is best and you’ll need a tiny amount, the more you use the longer it takes to set. Blow on the glue to make it tackier before sticking it in place. Step 3: Pick lashes up with tweezers – bending the pack so that you’re not tugging on the lash, or you may damage the curl. Bring it as close to your natural lash line as possible, gluing it to your actual lash. Press and hold until the glue dries (10 to 30 seconds). You can hold it in place using the end of a fine brush, which helps to give the lash an upward curl. Step 4: When applying lashes- start in the centre and work your way out to the corners, so you can adapt the look to suit your face, explains Claire. If you have a round face, create a “doll eye”, with all the lashes focused in the centre of the lashline to emphasise cheek bones. 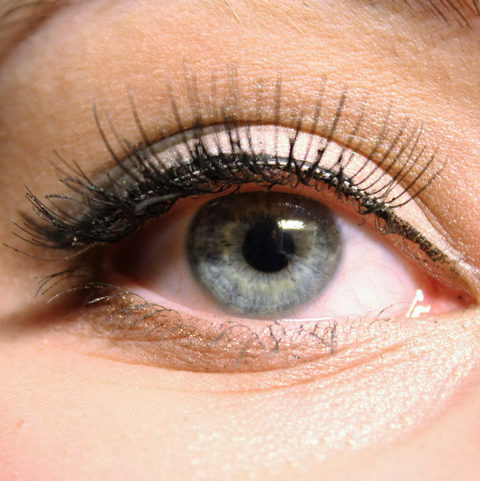 If you have a long, narrow face, “cat’s eyes” lashes that wing out to the sides help to widen the face. PLUS: Would You Go For Permanent Make-Up To Save Money? Step 5: Fill any gaps – between the false lashes and your natural lash line with black gel eyeliner. This also helps to paint out any glue residue. Use a fine brush and paint just the roots of your lashes, especially crucial if you have naturally fair lashes. Finally comb through to help blend natural lashes with the false ones, taking care that the glue has firmly set. Now you’re ready for make-up but use a light hand to keep the look fresh. 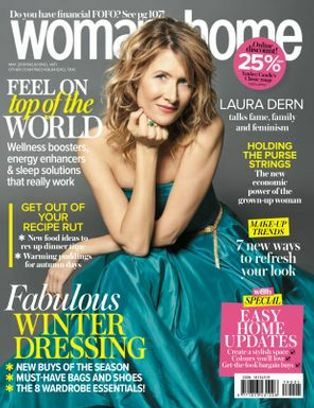 TOP TIP: Modern glues are strong and some can leave lashes in place for a couple of weeks – just like professional lash extensions – so be careful.